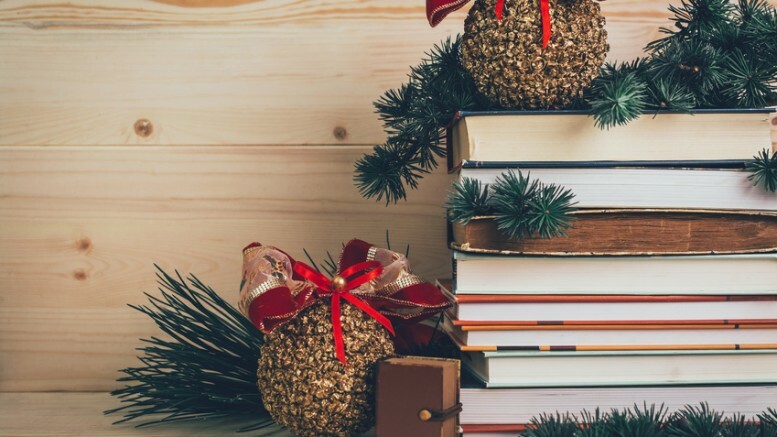 This month I’ll look at two Christmas stories that illustrate how subtle a presence Christian observance can have in material regarded as Christian fiction. The first is The Homecoming. The original novel became the basis of a classic Christmas television special and that special the basis of the long-running television special, The Waltons. Amazon still offers a limited number of copies of the original book. However, the narrative text is also available in Kindle format, so the original narrative is still liberally available. The narrative version provides an excellent example of how subtle the elements can be in a book that, nonetheless, observors regard enough as Christian in nature to categorize the author as a writer of Christian fiction. In the book version, Christianity is not explicitly discussed. Rather, the presence of a Christian spirit is experienced in subtle cues, such as the reference by Olivia’s mother (a character who appears in the book but not the televised version) to the father Walton (called Clay Spencer in the book and changed to John Walton for the television special) as a “heathen,” the general sense of the sacredness of Christmas as the Nativity feast, and the belief of the children in the Christmas miracle of the praying animals. Although the cues are more explicit in the televised version, such as references to allegiance to specific denominations and practices associated with those denominations, and Olivia’s prayer for forgiveness after she misjudges the Baldwin ladies’s gift of nonalcoholic eggnog, the presence of Christianity is still organic and subtle in the televised version. A more up-to-date work of Christian fiction, and one quite different in style, is The Mistletoe Inn, by Richard Paul Evans. This book shares the characteristic that the Christianity is subtle rather than explicit. I would categorize this more as a holiday season story than a true Christmas story. Although the Christmas season is essential to the plotline since the season itself drives the conflicts of the story, the main story actually runs from shortly before Thanksgiving to shortly after New Year, and Christmas observance is not given special weight in comparison to events that occur before and after. The key Christian tone is set by the presentation by the author that the signal family custom of Christmas Day is to read Luke’s Nativity Gospel narrative. Not only is the book written in an unusual first person style, but the protagonist is a female character although the author is a male writer. Additionally, the author deftly handles some sensitive issues of both mental and physical health crises, and the relationship impact of both. Further, the author, also deftly, presents the reader with an intriguing and somewhat mysterious character that leads to what came to me as a surprise revelation about 2/3 of the way through the book: although some readers might see the revelation coming. Both these works offer the reader (including readers who are also writers and seeking to enhance their skills) a read that evidences some skillful writing that contributes our understanding of the boundaries of the Christian fiction genre. Be the first to comment on "Two Christmas Stories"